Police Officer Nicholas Smarr and Public Safety Officer Jody Smith, of the Georgia Southwestern State University Department of Public Safety, were shot and killed while responding to a domestic violence incident at a local apartment complex at South Lee Street and Country Club Drive, near the Georgia Southwestern State University. The officers had been notified that the male subject was punching holes in the apartment walls and that he had an active felony warrant. When they arrived on scene the complainant advised them that the man was still inside of the apartment. Officer Smith went to the rear of the building as Officer Smarr announced himself at the front door. As Officer Smarr entered the apartment he observed the male subject entering the apartment from the back door. He ordered the man to come to him, but the man instead fled out of the back door. Officer Smarr radioed that the man was fleeing and ran through the apartment. As both officers pursued the man on foot the subject opened fire on them, striking both officers in the head. Despite his wounds, Officer Smarr returned fire but did not strike the suspect. Officer Smarr immediately began to perform CPR on Officer Smith until he collapsed from his own wounds. Both officers were transported to Phoebe Sumter Regional Hospital where Officer Smarr was pronounced dead. 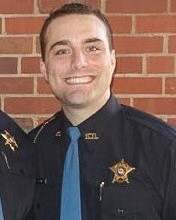 Officer Smith was flown to a trauma center in Macon, Georgia, where he died the following day. The suspect fled the scene but committed suicide next day following a SWAT raid of a local residence. Officer Smarr was a U.S Marine Corps veteran had served with the Americus Police Department for one year and had prior law enforcement experience. Officer Smarr and Officer Smith had known each other their entire lives and were best friends. 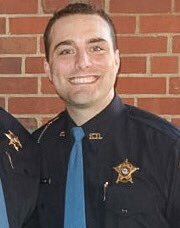 Officer Smarr was going to serve as the best man at Officer Smith's wedding in May 2017.